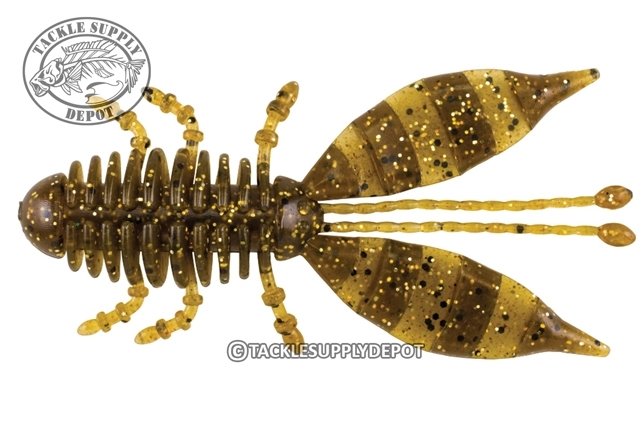 The Berkley Powerbait Jester Craw is a new design released in the Powerbait line which offers an appetizing appearance to hungry bass. Featuring a Japanese inspired design this creature bait is fitted with an array of appendages and tons of surface area that attract bass from all over both by sight and feel in the water. Pair on a wobble jig head or the back of jig to mimic a fleeing crawfish. Loaded with Berkley's proven Powerbait scent formula and loaded with appeal the Jester is something bass haven't seen yet.